The heart of the installation features artworks inspired by The Tale of Genji. Written by Murasaki Shikibu in the 11th century and debated as the first novel ever written, the illustrations of this literary masterpiece may not be by women, but as Wu states, “How many women writers do we know from 1,000 years ago? How many artworks have been made from every scene in The Tale of Genji, including the contemporary manga? It’s just countless. In a way we are attributing all of these wonderful works back to the original writer, the woman who wrote the tale.” The two pages below excerpt the scene depicted in the right-hand panels of the screen above. 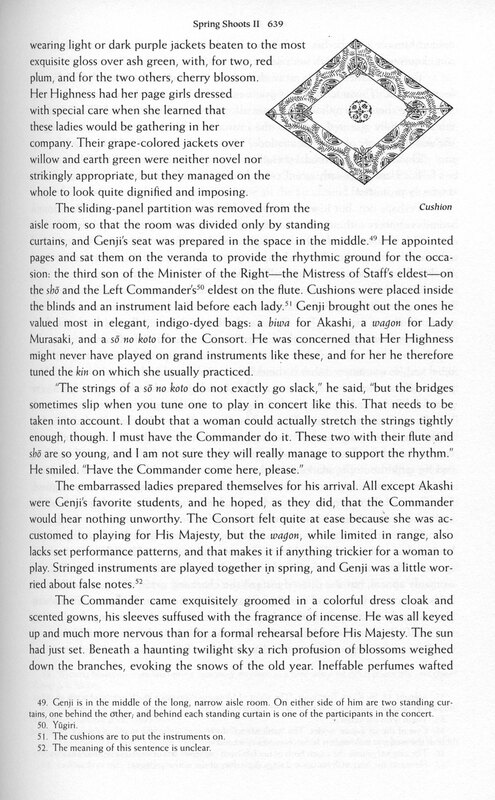 This excerpt and the page below refer to the right-hand panels of the image above. 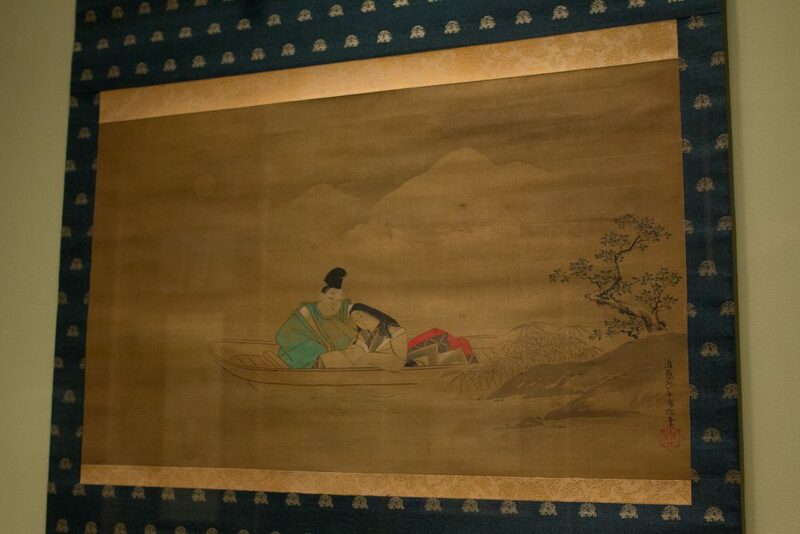 Murasaki Shikibu wrote The Tale of Genji to entertain the members of her court. Because of this, it was written in an archaic court language that was little used and quickly lost to Japanese speakers. This accounts for one of the reasons why there are so many illustrations of the tale—as a classic piece of literature, the tale continued to be told in images and annotations across the centuries until in the 20th century when it was first fully translated into modern Japanese. 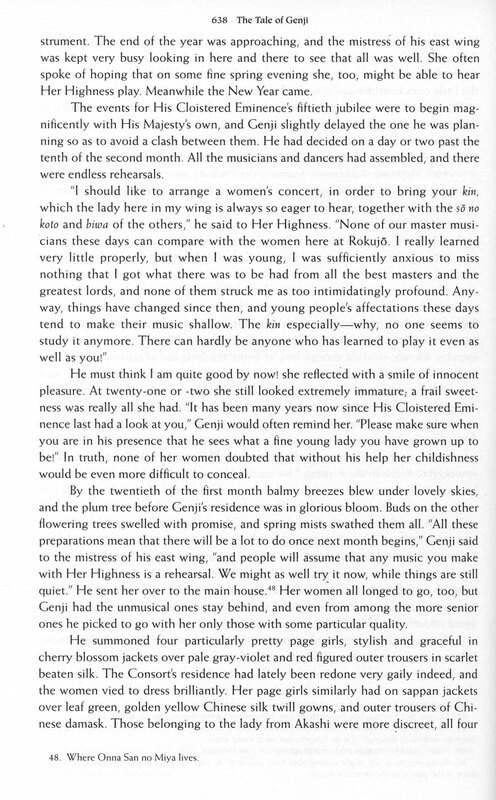 The Tale of Genji follows the life of Hikaru Genji, the son of an ancient Japanese emperor, and his many romantic endeavors. 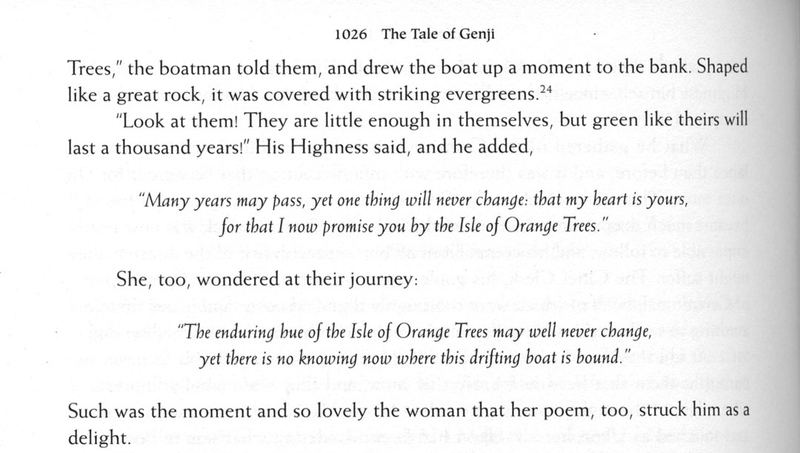 Featuring over 400 characters that age throughout the book and whose family lineages are often intertwined, Genji is considered a feat of characterization consistency for having been written in installments of chapters over a long period time. Although the book does not have what we might consider a plot nowadays (events simply take place and the characters age), it is one of the first pieces of literature to feature a protagonist, supporting characters, strong characterization, and a sequence of events following the lifetime of the main character. Xiaojin Wu is planning “. . . a sequence of installations that look at various patronage and audience groups. 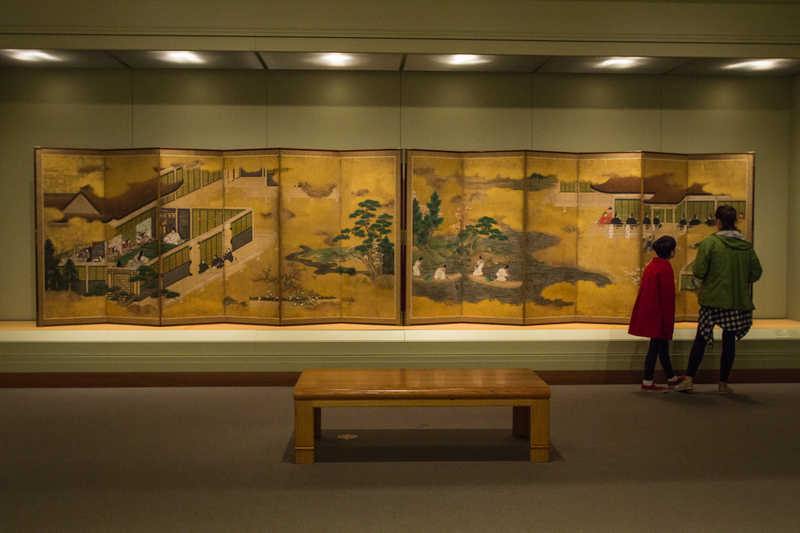 Following Talents and Beauties we’ll focus on aristocrats, and then samurai.” Make the time to visit this gallery for new perspectives on Asian art and culture. Images: Installation view Talents and Beauties: Art of Women in Japan, 2017, Seattle Art Museum, photo: Natali Wiseman.